Hermene’s interest in learning how to dance grew and, after high school, she worked in a doctor’s office earning money for both Jo and her to go to Chicago. The sisters spent three summers in Chicago, studying and performing with Russian dancer Adolph Bolm, from the Russian Imperial Ballet, at the Bolm School of Dance. 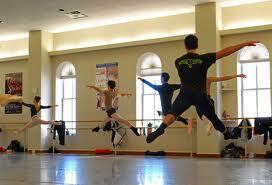 They became members of the Ravinia Opera Ballet Company. Both Miss Jo and Hermene traveled to Europe in the 1930’s to study at the Hellerau-Laxenberg School in Vienna, Austria. 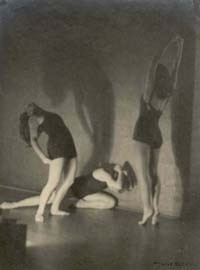 The sisters also studied with modern dance pioneer Mary Wigman. 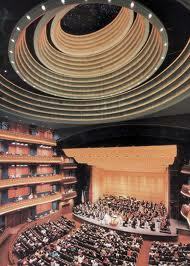 Jo performed in the Burg Theater in Vienna and also toured with Bolm’s “Ballet Intime” while in Europe. Josephine and Hermene founded the Schwarz School of Dance in Dayton in 1927. I began taking with Miss Jo in the Fall of my fifteenth year. She had an adult beginner class (and I had only had a summer of ballet and modern-4 days per week), so was accordingly nervous about taking a class with Josephine Schwartz. Those who knew her loved her and sent their daughters to her (and their sons). Her classes were full and she had a junior company as well as a ballet company. Thanks to Miss Joe’s connections, worthy dance companies came to the Theater and tickets were always available to students at a discount. Workshops were usually given and we could watch rehearsals, too. In the summers, they always had dance luminaries from large ballet companies and sometimes VIPs. Hermene was around, but she didn’t teach often. 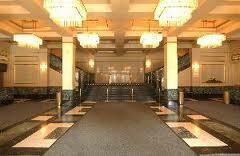 They still made appearances together and attended ballet performances at the Victory Theater below the studios. My mother had looked them up, read about them for years in the local papers, and told me where to go. There are no pictures online of Miss Jo or Hermene, that I can find, but I remember her long black dress (1978, not 1908), and her long silver streaked hair was pulled back into a bun and she said nice things to me occasionally. She complimented my bun and my balance! She made us work very hard and her studios were very warm in the Summer. Winter or Summer, you could look out of the window and see people hustled down main street, or into the Rike’s Department store across the street, buses surging past, horns honking, for this was one of the crosswords of the busting community of Dayton, Ohio. There was a bridge access to cross one of the four rivers of Dayton-the Great Miami River (Little Miami), the Mad River, Wolf Creek and the Stillwater river. Originally Dayton was built along this Riverfront despite local natives warnings about the recurring flooding. Subsequently dams and local reserves were created to ward off substantial recurrences, but this year was the 100th anniversary of the Dayton Flood (March, 1913) in which 20 feet of water covered the central business district. It is said that the amount of water running through the rivers was equal to one month’s worth of water cascading off Niagara Falls. The large building would have been the Biltmore Hotel, and in front and below, the Victory Theatre. In 1978, the major differences included bridges and dams to which this roadway led, dividing the many sides of Dayton. Today, Dayton is named one of the top 10 places for college graduates to find a job, the Dayton Ballet Company and the Dayton Contemporary Dance Company are flourishing and a new Five Rivers Entertainment Complex boasts live events, concerts, sports teams-there is even an ice skating rink! Not much has changed otherwise. The Dayton Ballet Company continues to be a major regional ballet company and sometimes stepping stone for aspiring dancers. There was really nothing in my life that compared to that 7pm ballet class on Friday nights. It started in September, and the odor of the sweat permeating the wood floors, the smell of the iron bars, the lights rising up through the sounds of the streetlife as you stood along the sides of the studio with the over-ten-foot high glazed windows, the streetlights reflecting on the mirrors, the exhilaration felt after class, swinging down the bannister and stairwell to the street below, covered in a fine mist of sweat to head for the bus home. dayton was a city with mass transit, long before similar larger towns had figured out less efficiently how to move people from one place to another, directing their attention to certain areas. Having a large German population, people actually argue about public engineering there, and it is no wonder that the University of Dayton is reknowned for that department. I guess if I had to compare it to any other city, I couldn’t, but Dublin would remind me of it for some reason. Perhaps the Irish put their mark on it as well. Miss Jo stood in front of the class and talked to you. She did not show you how to do anything-she communicated to you. You watched her foot slide along the floor, explanations with gestures, and you learned. 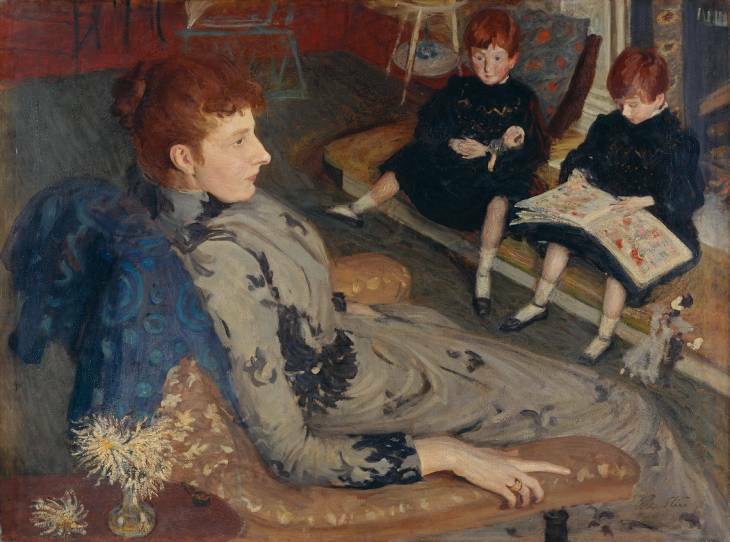 Her incessant corrections and walking from student to student during class, making nearly inaudible corrections, touching, pointing, only demonstrating occasionally what she meant, and yet she produced more dancers, calmly, in a genteel almost retiring way-by elegance and suggestion. She might start or step in a direction, or show a foot position, but she gave corrections orally, and there were no impulsive movements or strident tones. She was a forerunner of modern dance in this country, too, because she had a modern troupe and taught experimental dance. She was also teacher to Jeraldyne Blunden, founder of The Dayton Contemporary Dance Company, an all-black (at that time) professional (and touring) company of modern dancers which she kept in existence for over 30 years. She died at only 58. I think these were two of the really great women of ballet/dance in the midwest and their dancers and students dot the country and the world today. Mrs. Blunden developed a number of leading American modern dance performers, among them the former Alvin Ailey star Donna Wood. The November 24, 1999 issue of Dance Magazine announced-“The 1998 Dance Magazine Awards for lifetime service to the field of dance were given yesterday at the Asia Society (in New York). The winners are Jeraldyne Blunden, the founder and artistic director of the Dayton Contemporary Dance Company; Julio Bocca, an international ballet star and a guest artist with American Ballet Theater; Dame Ninette de Valois, the founder of Britain’s Royal Ballet, and Suki Schorer, both a longtime faculty member at the School of American Ballet.” I am sure the Miss Schwartzes’ were very proud of their legacy of dancers and movement we learn from and watch today. For more about Ms. Blunden visit the PBS Timeline of Dance at http://www.pbs.org/wnet/freetodance/timeline/timeline7.html. You will see Ms. Blunden’s entry in 1968 at the advent of opening her school which taught Horton technique and the styles of Truitte, et al. I mention Ms. Blunden with awe and great respect as a few of the teachers who inspired and taught me. She taught classes herself also. I remember taking her classes. They were HARD. 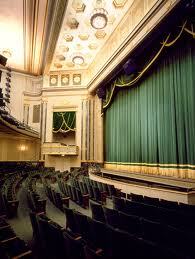 The Victory Theater was a lovely place to watch ballet. It was even more exciting to take classes above it every week, climbing up the stairs, walking into the old dressing rooms and walking out into that grand empty studio whose very floors evoked feelings of grandeur and majesty of dancers who sweat upon them (and they did! ), point classes and rehearsals, for so many years. The floors showed these scars. The sisters practically lived there and there was almost never a time when some dancer was not practicing in these large studios, only the light from the large windows illuminating their path, as they slowly refined their artistry in shadows. 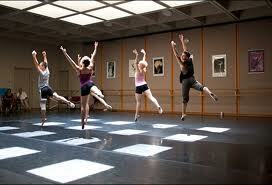 The light was an amazing dramatic enhancement to these movements and served to emphasize the concentration going on. No wonder I have such a passion for theater and dance! Of course they claim it’s haunted! But this is where it all really all began with Pat fox, Director of the Dance Department at Sinclair Community College, where I took my classes that first summer. She had graduated from the Cincinnati Conservatory of Dance and was an excellent teacher. Her background was modern dance and she had us buy books! She felt that you had to read about dance, know its history and approached her teaching methodically, from the ground up. Basics first. There was no cheating and no escaping her watchful and cautious eyes, where from behind large glasses they seemed to stare right through you and she did not miss anything! I bought all of the books she recommended for my daughter also. She was amazing. All of my natural instincts about dance, I attribute to her abilities as a teacher in the precise cultivation of the body as an instrument, to developing, waking up, building, and taught to use. Even now I can remember her classes and regimen, so methodically did she go through the movements and so perfect was her example. She was so particular about it that you did it in your sleep. She was tough! She stopped a bad action immediately before you went on reinforcing it. She literally kicked out sicklers and other offenders who would repeatedly perform exercises incorrectly, then she would go after them and make them fix it-sometimes running down the hall and dragging them back. Some were daunted and she never caught them, but generally, they came back. You had to listen. You had to watch. You had to do. You wanted to know everything she did, and you had to read! Patricia Burke came on after that summer to teach ballet, and had it not been for her, I might have not learned ballet the way that I did. It is hard to explain my relationship with her. I was certainly the youngest student in the college class, having gotten permission from my high school to take classes there (to overcome the obstacle of “no previous dance training”) in order to be able to study at the Dayton Ballet School, but I was still considered too old for serious training. Pat must not have thought so and we had a good relationship. She worked me harder than anyone ever did again. It was Pat Burke who gave me my definition of a hard work ethic in ballet, and reinforced the natural ability to focus I had. I have not seen any teachers here in the US who come close to her indoctrination methods (with respect to my daughter) although there are a lot of good teachers. She was trained in Pennsylvania and then went on to dance with the Royal Ballet. A perfect technician and teacher, who explained the meaning, then definition (in French and English) and used mnemonics to help you remember. She taught with a Montessori-type drill replete with correct emotion and such clarity of movement that you could never question the right way to do something. She never made a mistake-ever! The class for her was a class, she always appeared dressed-out in leotard, tights, short hair in a tight little bun-she taught by demonstrations, example and you had to do what she did, have her stamina, and she never chided me for getting lost or doing it wrong-you just caught up. It was like following Margot Fonteyn around for an hour and a half-a dynamo and virtually indefatigable. She was about strength and she started with the feet working up. She did jumps, adagio and port de bras. She put a lot of emphasis on beats, grande batteries, petite batteries, jumps. I was very very lucky. You always had a marker and a guide with her example, rapidity and brilliant execution. Sweat was pouring off me after two or three exercises in the center and we did 8-16-32-64, whatever she felt you could conceivably handle, working up. I began taking her private class on Saturdays when she opened a little school in Kettering, Ohio. She eventually closed it and I believe married. But she used to explain her devotion to her craft at a young age-doing dishes while stretching her leg on the sink, picking up things with her feet. She told me after a while, maybe one year, that she felt I was too old to start at first, but then after getting to know me, she thought I could do anything I set my mind to. She even came to NY to see me when I went off to college and visited me in new York with her new boyfriend. I loved her like a sister. I was blessed to have these people teach me, notice me, correct me, and to have feel the way I do about dance is really because of all of them. They were truly inspiring. Literally, by doing what they said, and by hearkening to their advice, I was brought to viewing dance from a new perspective and joy, a feeling hitherto not experienced in my young life and really never surpassed by anything else. There are so many techniques and things to learn about ballet!